The MECL top seed Fakel Gazproma Orenburg secured big advantage for the returning semi-final match, beating away Wienviertel Niederosterreich 3:1. Audience in the Wolkersdorf`s hall fully enjoyed in the interesting contest, especially in the open fight between Stefan FEGERL and Dimitrij OVTCHAROV who both showed all the beauty which table tennis has. Rematch will be held on the Russian soil, on April 3rd. The man of the match was for sure Dima OVTCHAROV who showed astonishing hardness in both his games, against Stefan FEGERL and HOU Yingchao. In both matches German was two sets down, but managed to win after several situations in which he was almost lost. Former world`s no. 10 HOU Yingchao met actual no. 10 Vladimir SAMSONOV in the opening encounter, as Byelorussian won in four games. After three back to back points Chinese led 7:4 in the fourth set, but guest turned to 9:8, making the crucial step to the victory. World`s no. 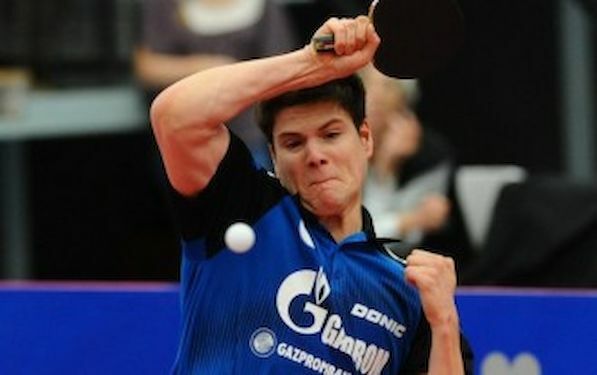 50 Stefan FEGERL was very, very close to defeat the best ranked European player on the ITTF ranking list, Dima OVTCHAROV (no. 6). Austrian took first two sets and had three match balls in third set (10:7) plus one more in the fifth one (10:9). But, as many times, the 2012 Olympic bronze medalist performed his best on the peak of the drama. In the fifth set he was three points behind (6:9) before the host secured new match ball. Finally, German concluded the clash by one good serve. This contest was like boxing clash between two good punchers, as both make several nice strokes from the floor, having long and exciting rallies. Fans were on the feet many times. Daniel HABESOHN brought unique point for the host side, beating Alexey SMIRNOV in five games. Austrian started with a decent lead in the fifth set, while Russian had no power to reach him as he did in the fourth one (in both host had 3:0 lead). Finally, OVTCHAROV provided the victory for the top seeded MECL club. Like in the opening match, he couldn’t find good rhythm in the first two sets, but after that everything went smoothly for him.